1. Quotations are valid for 3 months from the date of quotation. Once a deposit is paid, this confirms you will pay the contract price. All invoices should be paid for within the 7 days stated on the invoice. Failure to pay any invoice in full without confirmation in writing from DJMoore Lofts could invalidate any guarantees given and slow the progression of the works. 2. A deposit is required upon acceptance of this quotation, together with a written confirmation of your instructions to do the works. Two further stage payments will be required as the work progresses, with the balance to be paid in full on completion of the works. 3. 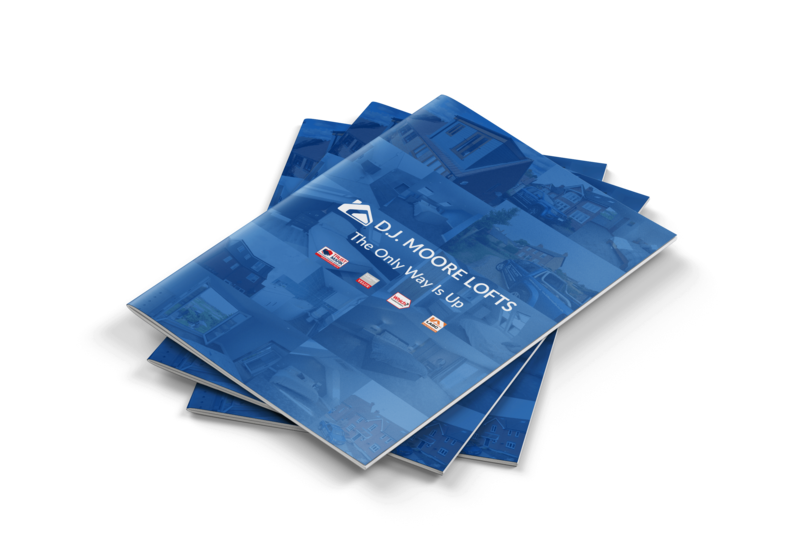 The deposit will be refunded in the unlikely event of cancellation on our part or should the local authority refuse the work to be carried out, minus any costs incurred by DJMoore Lofts. (i.e. plans and design) The deposit is refundable if the client decides to change their mind, less any costs incurred by ourselves due to admin, quotes and time given. 4. Any work required to be carried out to the existing electrical or plumbing systems, which do not comply with necessary regulations or are not adequate to run additional loads, will be classed as extra work and will be added to the final bill, (i.e. Boilers, showers, pumps or fuse boards). In the event of this, the client will be made aware before any works are done. 5. All electrical items provided and installed are a white plastic finish unless asked for and added to the quotation. Lights are non-dimmable as standard. 6. Any extra works will be quoted for and confirmed with DJMoore Lofts and the customer first before starting, and should be paid on completion. 7. All work carried out by DJMoore Lofts complies with all necessary health and safety requirements, and is covered by our public liability insurance. 8. DJMoore Lofts covers all their work with a five-year guarantee from the completion date that is not insurance backed. Excluding fair wear and tear or damage through misuse. 10. Settlement terms: Accounts are payable by the date indicated on the invoice/quotation. Any variation to these terms will only be accepted where agreed by the company and confirmed in writing. Where the credit terms are exceeded DJMoore Lofts reserves the right to demand immediate payment of the account in total. You shall pay cost, losses and expenses we suffer due to late payment or non-payment of the account. DJMoore Lofts may also, at their discretion, charge interest on any accounts that are not paid within their terms and conditions. We can exercise this right in addition to any other rights we have of the goods and non-payment. 11. If a ‘Party-Wall’ agreement is needed; we can put you in touch with an independent surveyor who will be able to help establish this. 12. The client will provide a good use of water and electricity throughout the course of the build. 13. DJMoore Lofts will take all reasonable care of the customer’s property when carrying out the build, but cannot be held liable for redecoration; unless we have been negligent or any damage caused is due to our negligence. 14. DJMoore Lofts reserves the right to use, disclose and reproduce photos during and after the build for advertising purposes on social media platforms. All photos will be taken with the client’s complete discrepancy and security in mind. 15. We always endeavour to provide the best service and products for our customers. However, on rare occasions, we recognise that there may be times when our customers may not be completely satisfied. To ensure we are able to put things right as soon as we can, please read our complaints procedure below and we will respond promptly to ensure complete satisfaction.As soon as possible after completion of the works, please inspect the work to ensure everything has been carried out to our usual high standards.In the unlikely event that there is anything you are not completely satisfied with, please contact us as soon as you can, so we can rectify any problems as soon as possible. Where we cannot resolve any complaints using our own complaints procedure, as a Which? Trusted trader, we use Dispute Resolution Ombudsman for dispute resolution. In the unlikely event of a complaint arising and you wish to refer the complaint to them, please contact us on 0117 981 2929 or via their website. 16. Nothing in these terms and conditions shall be interpreted as excluding or restricting the statutory rights of the customer. Settlement terms: Accounts are payable by the date indicated on the invoice/quotation. Any variation to these terms will only be accepted where agreed by the company and confirmed in writing. Where the credit terms are exceeded DJ Moore Lofts reserves the right to demand immediate payment of the account in total. You shall pay cost, losses and expenses we suffer due to late payment or non-payment of the account. DJ Moore Lofts also may at their discretion charge interest on any accounts that are not paid within their terms and conditions. We can exercise this right in addition to any other rights we have of the goods and non-payment.